Tell-tale Signs You’re Using Too Much Detergent! A large number of washing machine repairs are caused by improper use of detergents – the residual soap means excessive suds, nasty smells, and dark spots on clothing. So knowing how much detergent to use is a lesson well learned! Read the manufacturer’s detergent use recommendations which are printed in the care manual to get the advice you need for your particular machine. Always measure the amount of detergent accurately, and use the measuring cup carefully. Most of the washing machines these days use high efficiency (HE) soaps that are specially formulated with suds suppressors, so your machine won’t make too many! 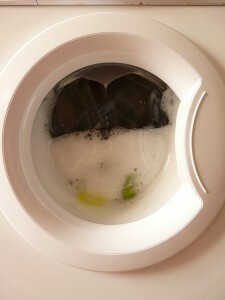 If you prefer to use alternative detergents reduce them by at least 1/3 of the recommendation. Make sure you use the right amount of a good detergent and add the appropriate laundry freshener for the load being washed. Detergents should contain enzymes that break up protein stains, whitening agents to capture light and colour-safe bleaches. Overdosing the detergent may cause the machine to sense a suds lock condition which in turn signifies an extra heavy load, a worn pump, or excessive suds. Too many suds simply damage the machine as they travel up the hose and possibly come into contact with switches that’ll turn your machine off. Unpleasant odours are caused by the animal fats in detergents and fabric softeners congealing and building up under the drum. Using too much soap over an extended period will cause this to happen, and mould and bacteria will quickly form. When you open the washing machine door the smell will be apparent and can be very difficult to eradicate. 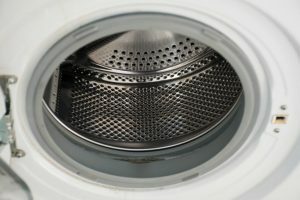 Rust or dark spots on washed clothing are due to the mould growing inside the washer door from using too much detergent. As the scum collects humidity lets it grow, and you may end up having to replace the door seal. Keep your machine level to prevent rocking and walking! If you find you really do have an issue with your appliance you should immediately call in the professionals. 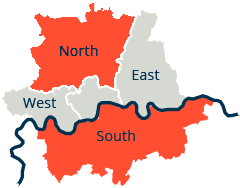 Washing machine repairs can be conducted quickly and easily by trained technicians with years of industry experience. If you leave fixable repairs too long you may find you have to buy a replacement washing machine before you really needed to.